Our beloved game industry continues to grow, which is great for all those aspiring game designers and game developers out there. As the industry grows, so too does competition for positions in the industry. Not so long ago, many schools started offering game design certificates. Now we’re seeing an abundance of game design programs and game development programs. 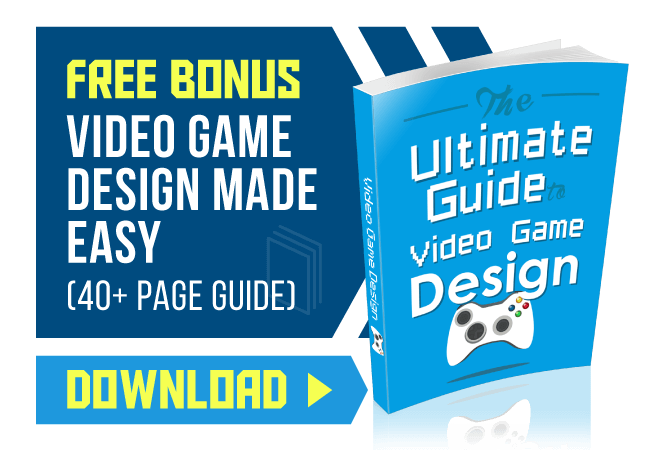 Is a degree in game design enough to secure a spot in the industry? 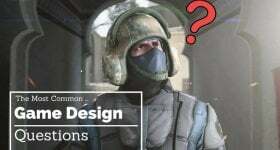 Well, to find an answer to that question, we need to understand what positions are actually available in the game design and development industry. The game industry is a funny place because similar job titles could mean very different responsibilities depending on the studio or company. At a mid- to large-sized company you might see a listing for “game designer.” But it turns out what they really want is someone to exclusively design levels. At a smaller company, you might see a listing for “game designer”, and they’ll expect some minor programming or art direction out of you. Know that a job title in the game design industry isn’t always a one-size-fits-all kind of description. Pay attention to the job details before biting off more than you can chew (or taking a bite of gazpacho when you were expecting pudding). Few positions are more entry-level in this industry than a job with the Quality Assurance department (QA for short). As a QA tester, you’re responsible for exactly what your titles implies: assuring quality. You test games to make sure they run smoothly. You’re responsible for finding bugs, suggesting changes, and offering suggestions for fine tuning the game. You are responsible for making sure the game is playable. You root out the glitches, the hiccups, the flaws–in many ways you’re the final gatekeeper. You’re a Crow of the Night’s Watch, and you man the wall against any wildling coding or game elements from invading the lands. It sure sounds noble and glorious…But, if you know Game of Thrones, you know that serving as a member of the Night’s Watch is a thankless job. In many cases, so, too, is serving as a quality assurance tester. You’ll have to work long hours playing the same parts of a game over and over to try and break it. You’ll be working under deadlines. QA jobs also aren’t always the steadiest. Quality assurance testers are essential before a big launch. Once the game is out, the need dies down. Still, quality assurance testing gets your foot in the door of the game design industry. You’ll meet people. You’ll touch some software. You’ll be working in a professional studio, gettings hands-on time in the game design and development process. In order to springboard from QA tester to a role outside of the quality assurance department, you’ll need to develop game designer or developer skills. Animation, programming, design–whatever you want to get into, develop those skills before becoming a QA tester to give yourself the best odds. This position is viewed as an almost entry level position. Some game designers and developers got their start with this job. Many others did not (gotta’ give fair warning). As a level designer, you’d be responsible for designing environments in a game. Houses, dungeons, buildings, landscapes–whatever environments the game calls for, you’d have a hand in designing. This job is neat because you can get a bit of freedom with your designs. Sure, the Game Designer and the Art Lead will tell you the theme and the art direction of the game, but you’ll have wiggle room to create within that framework. Level designers and editors can also be tasked with developing the gameplay of a level. In a genre like platformers, you’ll be designing a large part of the challenges that players of the game will face. How do you land a job like this? Some level editors got calls from studios after putting serious hours into mods. Modding is an excellent way to get experience with AAA game assets. It’s also an awesome opportunity to flex your level design muscles. And, as some game developers have proven, if you do it well, you can get noticed. On a big team, you might be working with a number of other junior developers, with the lead developer at the helm. You’ll likely receive specific tasks, or be put in charge of polishing various aspects of the game: like adjusting text or cleaning up certain elements. You’ll answer to the lead developer and help out wherever they need you to. If you’re working with a small team, you might receive the lion’s share of the developing work. The size of the project and the team you’re working with will determine the scope of your role. Be ready to be flexible in a junior developer position! Smaller indie studios might outsource this role to freelancers, but many studios will manage this role in-house. You might have a hand in creating everything from characters and weapons to scenery and surface textures. You’ll need a penchant for drawing, and you’ll probably want some decent programming skills, too (unless you only want to work on interactive graphic novel games). A strong portfolio can help you land this job, so will a good network of professional connections who are familiar with your talent. Evolution: Once you put in enough years, acquire enough wisdom, and hone your skills to the level of master, you might finally evolve to the position of Lead Artist. Lead Artist is the head honcho of the art department. They are in charge of the game’s visual style. The visual assets need your OK to make it to the game. If you eventually want to be Lead Artist, it’s a good idea to put in as much time as you can in the different art department roles. Varying your experience as you work your way up the latter will give you the diversification and understanding you need to effectively manage the department when you take the wheel. The Game Designer position is a highly coveted position (at the very least, it’s a position that thousands of people outside the industry think they want). The game designer fulfills its titular responsibilities: they are responsible for designing games. Who decides what the gameplay will be like? The Game Designer. Who decides the theme, the characters, and the other core elements? The Game Designer. It is a role with great power and great responsibility (but unfortunately no web-slinging). Game Designers need to be great leaders. You’ll need excellent communication skills. It’s your responsibility to communicate the elements of the game to the other departments. Obviously, this role is not entry level. It requires a substantial breadth of industry knowledge: system hardware capabilities, budgeting, developer roles, software technologies, and more. The Game Designer needs to know these things because it falls on them to identify technical and time constraints, and build the best game the studio can within those constraints. A common sentiment is that game designers need to know how to program, at least to some degree. If you don’t know the programming side, how can you be in charge of the whole product? How can you know what kind of output is possible, and in what time frame? If you’re aspiring to this position and were wondering how you could get there before now, you’re likely a ways off. There are a lot of roles you’ll need to adopt in the interim. 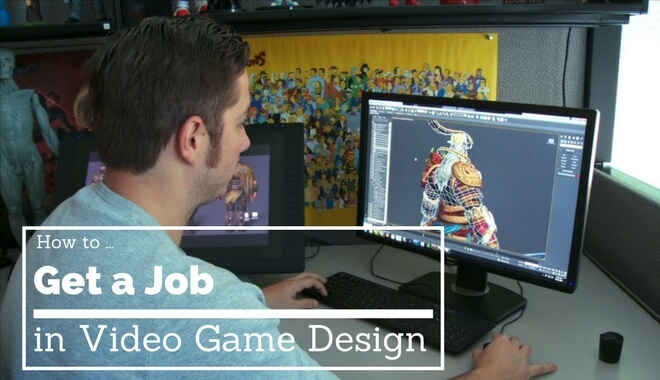 Short of starting your own studio, there’s no shortcut to a Game Designer position. Breaking into the industry is tough. The bigger it gets, the bigger the pool of competition. Game design degrees have popped up all over the place. That isn’t an accident–colleges are meeting a demand. So here’s the best tip you can get: make games. On paper, you’re going to look remarkably similar to the thousands of other students getting game design and game development degrees (if you go that route). Where can you stand out? Your portfolio. Or your reel. Or your modding presence. Whatever you want to create, create it. You have to love the process so much that you’re willing to ignore the advice of people telling you that it’s too hard to break into the industry (*cough* kind of us right now *cough*). If you aren’t designing or developing every single day, you’re going to lose. The best athletes train every day. The best writers write every day. The best gamers game every day. The best designers? The best developers? They design and develop every day! Next time you get the urge to play GTA 5 or watch Kwebbelkop play PUBG, just remember: someone else who wants to make it in the game industry is hard at work honing their skills.